So you like the idea of a guest book but are not fond of having something in the house that you barely look at? Make the guest book a point of visual interest! 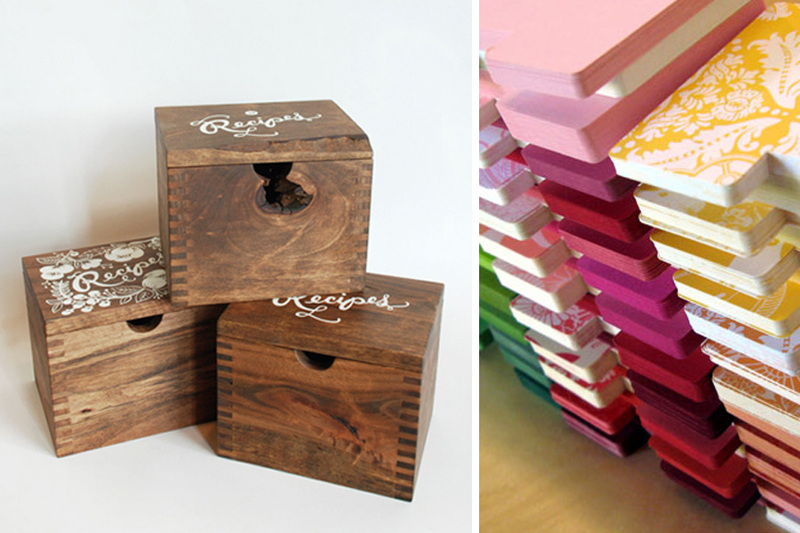 There are some great recipe boxes out there, and tons of beautiful paper. Many graphic designers would be happy to whip together a "recipe card" for your wedding guests to write on; have them include their birthdays, favorite colors, a story of the friendship, or a recipe for a happy marriage. These small boxes are easily tucked away to blend in, but are almost always stunning enough to leave out on the counter for reminiscing. i love that idea... a recipe for a happy marriage!